I know I am an idealist in my hopes that we can make the world better. Most people believe the super rich are too big to take down. That could very well be true, because it’s been that way for hundreds of years, but I am still hopeful that awareness can do … something. The economic game has turned into who can steal more and get away with it. Trust is being challenged and I see a move to computational trust. The general public chooses to stick its head in the sand. Is it because it’s complicated and boring, or are they dumbed down with media, medication, sugar, caffeine and alcohol? Probably some of that; though maybe they have given up because they think their point of view does not matter or won’t make a difference, as again maybe the system is too big to change and will do what it damn well pleases. Your money is being inflated away to keep the Military Industrial Complex (MIC) funded. The MIC dictates the controlling shares of the major companies in the world and has taken over control through the Corporation Act. 147 companies own 40% of the shares of 43,060 transnational companies. Those 147 chairman of the boards advise the Federal Reserve(which is private and has a controlling interest of shares), through organizations such as the Council on Foreign Relations, on how their top few shareholders want things done. If there is a war in the next 30 days it is purely political as the MIC is worried they will lose their grip if their choice (Hillary) loses the election. The Military Industrial Complex’s (MIC) biggest revenue source is the US Government to the tune of $700 billion being spent on defense each year. That is so large that it has become the budget that controls the world through proxies of controlling the shares of holding companies via the top 49 companies in the world (they are all financial holding companies). While the shareholders are few, their biggest holdings are with the MIC. GE and Westinghouse are two large defense contractors that own much of the mainstream media. New bail-in rules have made the money you think is yours (in your bank) not yours anymore. You have lent that money to the bank, and you may think it’s insured but the system is so systemic that when one fails all will fail which should tie up your funds way longer then you could imagine, and then all tax payers would be called in to fix it. With this type of system trust or confidence is eroded, and with current currency and trade wars between countries (China, USA, Russia and Iran to name a few) that don’t trust each other, all this continues to undermine the system. 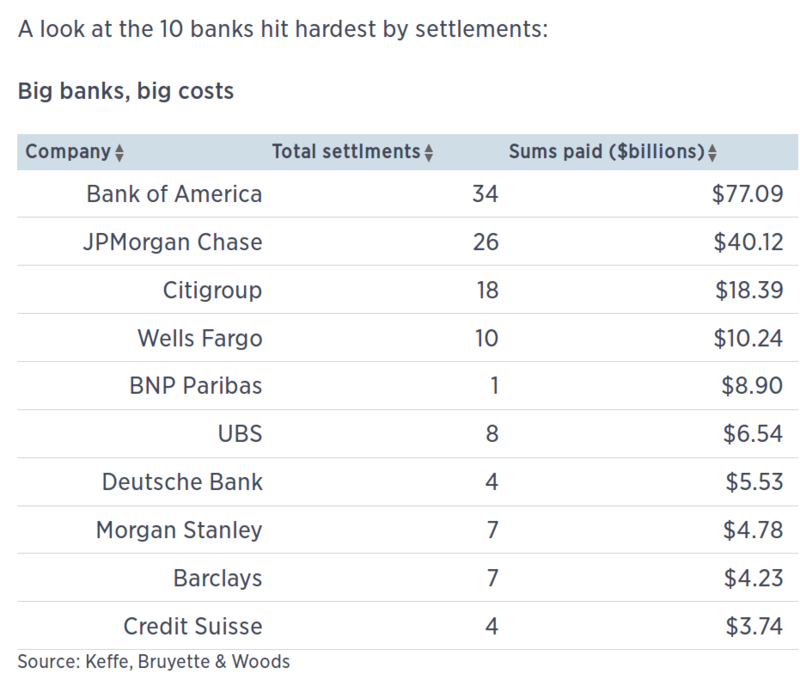 The 2008 Bear Stearns and Lehman Brothers collapse all came down to banks not trusting each others balance sheets, as some were actually insolvent (broke), and bank overnight lending stopped for 30 days. We were hours away from all ATM’s being closed until further notice. The shareholders of the 147 largest holding companies in the world have put most people, companies and countries in debt to them (i.e. ; enslaved). The top 49 companies are financial companies holding the voting control of the Military Industrial Complex which includes the media. Global growth has crashed to levels not seen since 1955. Home ownership rates are at 50 year lows in the USA and the job participation rate is also at 38 year lows. So don’t listen to the headlined unemployment rate as that is only reporting on new part-time jobs. The Dry Bulk Index has been at a low for multiple years and a recent report from the WTO said they are lowing their forecast by about a third to its lowest rate since 2009. The smart money has already left holding shares of the European banks as most of their share prices have dropped 40-50% over the last year. The stock market is at a record 25:1 P/E (price to earning ratio), corporate profits have been down for 6 quarters in a row. This represents the longest and broadest slide in earnings since the financial crisis. During good times and before this near zero interest rate policy the average P/E was something closer to 15:1. Meanwhile, the US has printed over $5-10 Trillion dollars in the last decade and European Central Bank’s (ECB) Mario Draghi saying we will do “whatever it takes.” The ECB has been printing monthly for the last year and a half along with Japan printing full blast monthly for the last three years. The real fraud here is bailing out banks; if true free markets were around, those companies would have been closed or sold off to more trustworthy competitors, or nationalized. This may blow up (on purpose) around election time, while never mentioning that they caused this or most were too incompetent to see it while the decision makers behind the curtains have big smirks on their faces while front running the swings in the markets. One of the biggest problems, and the most misunderstood, is that governments don’t have to borrow money; they can print any deficits and therefore avoid interest payments. Those interest payments are transferring your wealth to the rich. For those wanting more on this point, below is Bill Still explaining in his documentary The Money Masters. Canada alone pays over $18 billion per year on interest to the banks shareholders and the US is at $223 billion. Over the last four years the Plunge Protection Team and Exchange Stabilization Fund or Open Markets Committee has represented 40% of the upside move in the S&P index. This is clear state planning or a banana republic that has abandoned free markets. Can they hold the markets up, and should they? Everyone should be aware of this and place their investments strategies accordingly. This is playing the system for the benefit of the few, and the greatest transfer of wealth in recent history is soon to follow. The global debt is unsustainable and the largest pensions will be looted to pay for it via hyperinflation. The Japanese Government is currently buying 60% of the Exchange Traded Funds (ETF) on their stock exchange. These are not free market moves, these are moves of desperation. The risk of errors or poor judgment such as interest rate increases, or withdrawing liquidity is increasing. Intended or accidental breakdowns within the Euro Zone potentially restructuring the single currency (Euro) is no longer unlikely. The global currency war is complete with trade wars, as Trump discusses, and capital movements are likely as countries act independently consistent with their national interests. This is to be expected and could push us into a phase shift – the signs of failure are everywhere pushing central banks into more extreme actions. The good news is the establishment is scrambling to take more control (mergers & acquisitions, Patriot Act, moving Internet control to the United Nations etc.) to insure they don’t lose it entirely, but this is so vast and complicated that I believe they won’t be able to; they are losing more and more control daily. This current economic fantasy can only be kept going for so long – one can only defy fundamental accounting for so long. Kicking the can down the road or sweeping it under the carpet does not fix a system that is broken. Is Trump going to solve it all? No. Is he going to bring new ideas or clean the stables? Maybe. He has not been a career politician drinking the cool-aid that makes all of this seem viable or sustainable. Immediate improvement? I don’t think so, as it will be painful to transition out of the debt. Crisis is more likely than the early 1980’s, but if the choice is between Clinton’s continuation of the status quo and a disrupter I vote for the disrupter. Yet many are choosing to opt for a third party option, or even the path of abstention as a political protest of a system that is clearly corrupted and broken. Fundamental house cleaning at the Federal Reserve is a paramount necessity. Massive intrusions in the financial markets, manipulation of interest rates, and efforts to prop up the market all must come to an end! Abolish the Open Markets Committee; abolish discretionary intervention day in day out; let interest rates be discovered by the market; let price discovery come back into Wall Street; that is the heart of capitalism. 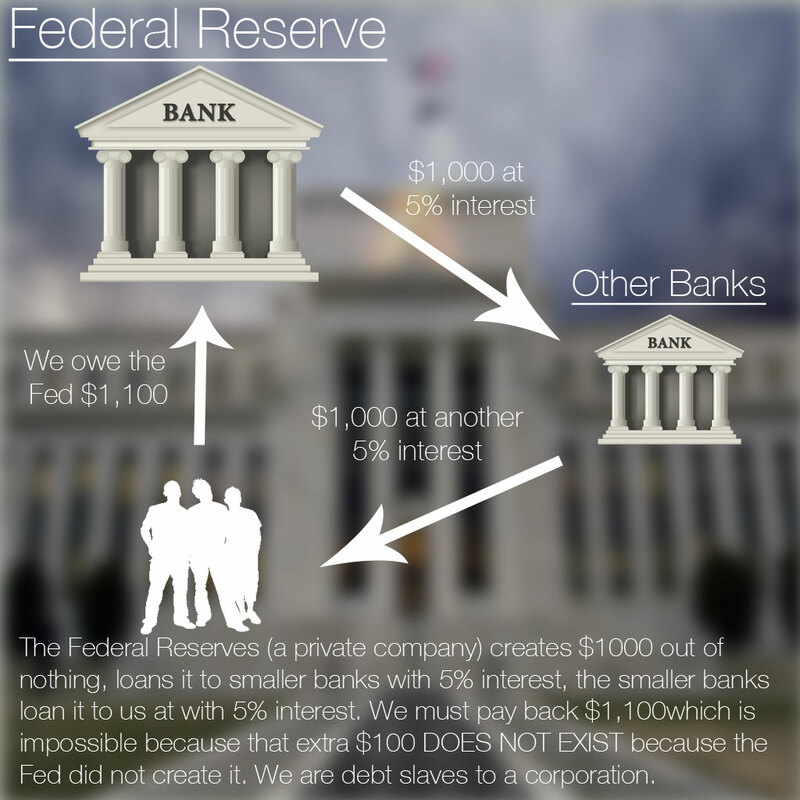 Shut down the Federal Reserve as it exists today. The economy is the single most important and ignored topic to globally bring people out of poverty. I have no motives other than helping people understand that there is a better way. The world now has $152 Trillion in debt and median household income has fallen by 20% since 2000. That kind of drop has not been seen in decades. **Note From the editor** The Last American Vagabond continues to maintain its political stance of protest in choosing not to vote in the coming presidential election, as it would only serve to legitimize a system that no longer exists to facilitate the freedom and liberty of Americans, but rather the specific needs and desires of an elite few. We do however continue to support those who are still making the choice to vote, as many of our staff are indeed choosing to do. In that event, we wholeheartedly ask those choosing to participate not to buy into the mainstream “lesser-of-two-evils” misinformation, and to cast your vote for a third party; because in our research, we have seen that the vast majority of Americans are indeed leaning toward a third party vote, despite what the mainstream media would have you believe. Do not allow yourself to be manipulated by a corporate media that has simply become another extension of the government. A seasoned finance expert with extensive experience in Project Controls and Business Development. Major strengths in End to End Sales Management, Cost Analysis and Reporting, Working with Senior Leaders and Interface Management. Developed many multiyear Business Plans for personal and client businesses. Introduced New Product from concept to store shelf and proven track record of Business Development in a dynamic business environment. To quote Jim Treliving Chairman of Boston Pizza and Dragon on CBC's TV show Dragons Den "Paul is hard working and innovative."